We have been the desired destination for health conscious Elko and Spring Creek residents for over 15 years. Whether you’ve been struggling with pain due to a chronic condition or have experienced an injury related to a sports or auto accident, we want to help at Ruby Mountain Chiropractic Center. 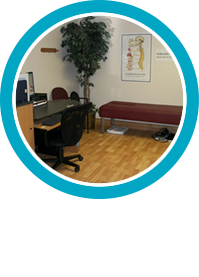 Warm and friendly, Elko Chiropractor Dr. Todd Wendell provides patient-centered, customized care. He’s passionate about helping practice members experience relief and healing and improve their lives. We enjoy a reputation in the community as the place to go if you want to find a solution to your health challenges. At Ruby Mountain Chiropractic Center, we see practice members of all ages. We can adjust everyone from a day-old infant to a 95-year-old with back pain. We use a variety of chiropractic techniques as well as cutting-edge therapies like cold laser with the K-Laser. We also offer Clinical Biomechanics of Posture® (CBP®) to help improve posture, balance, spinal alignment and restore essential spinal curves. At Ruby Mountain Chiropractic Center, we’re committed to not only providing exceptional chiropractic care to our practice members but also staying involved in the community. Drs. Wendell are members of the Elko Area Chamber of Commerce and Dr. Todd Wendell serves as the executive Director of the Elko Area Chamber of Commerce. 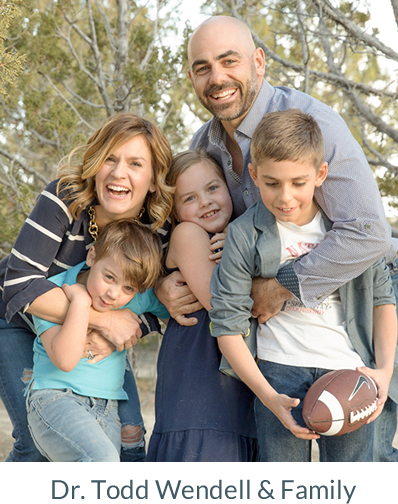 Dr. Todd also serves as director for the Eastern Nevada Wrestling Association, is a board member and medical director for the Elko Junior Football League and serves as a team doctor for the Elko High School Football. Dr. Marin Wendell is active in the community as well, as she sits on the board of the Elko Downtown Business Association. Dr. Marin Wendell started Everything Elko, a magazine specifically designed to help local small businesses get their message out. 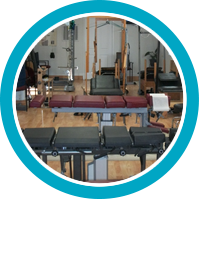 Discover the difference that customized care from a chiropractor Elko can make in your life. Contact us today to schedule an appointment! This care is not only corrective but preventative. It doesn’t simply treat symptoms but works to improve your quality of life. I constantly recommend Dr. Wendell to people and those that have seen my improvements are very impressed. Awesome service! Our lives, my wife daughter and I, have been permanently changed because of your work! I had a daughter that screamed to no end, was wearing on us, and all on top of the fact she was a NICU baby. I have energy like I did 10 years ago from your traction and adjustments. I sleep much better and deeper. I’m hoping to kick these allergies too! Thanks for all you’ve done! Thank you! Thank you! From the morquecho! For all your help for being patient with my family and for all you do for us ! I genuinely feel like chiropractic care helps my son. He almost always sleeps better after his adjustment as well as being in a better mood. I would recommend Dr. Wendell to all my family and friends. It is like a family get together there in many ways, very good ways! The difference in quality of life is amazing and the improvement in my sleep was miraculous. Been seeing you for a few years and I’ll keep coming back as needed. Thank you!! I really enjoyed going to see Dr. Todd Wendell. I really enjoyed the friendliness of the staff. It has help me so much to get back to feeling great again. Thanks for all the help you have given me and my back! Truly a welcoming staff and Dr.! I’m a regular now and will definitely be getting my growing family into the care of Dr. Todd as I’ve seen such an improvement in my overall health. Pregnant mamas- I highly recommend! Everyone is very friendly and the staff is amazing. I love coming in to the office everyone is always smiling and so helpful. Excellent business. Open, honest and very friendly.